Heroism and powerful masculinity appears powerfully in the classic painting "Sebastiano Venier" by Jacopo Tintoretto (1571). 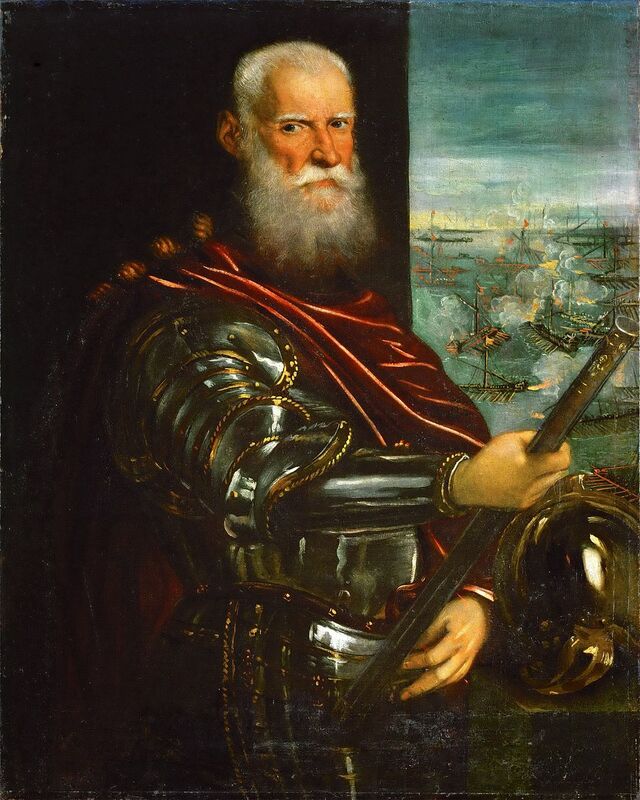 In the background you see Sebastiano Venier's greatest accomplishment: he led the Venetian fleet, as part of the Christian fleet, to defeat the Turkish fleet decisively at the battle of Lepanto October 7th 1571, saving the European civilization from invasion and destruction. He later was elected unanimously to be Doge of Venice until his death. The picture shows a face of wisdom and knowledge, but also shows, through the armor and the martial attitude, the strength of the portrayed, supported by an image of his greatest accomplishment.